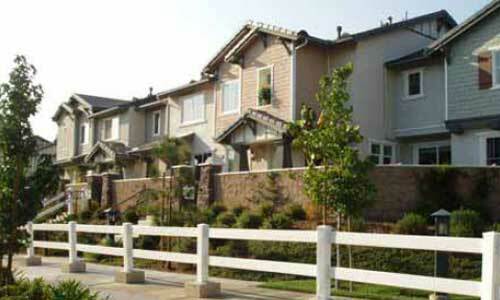 A report was conducted for the City of Moreno Valley that identifies barriers to fair housing in our community. The report, Analysis of Impediments to Fair Housing Choice (PDF), or AI, includes a recommended five-year Fair Housing Action Plan to help address these barriers and improve access to housing. The AI is based on research and analysis of housing issues as well as input from surveys, community meetings, and focus groups. The AI is required for the City to receive federal housing and community development grant funds. On December 29, 2011, the California Supreme Court upheld AB 1X 26 abolishing redevelopment in California as of February 1, 2012. Now the complicated process of dissolution is underway. On February 28, 2012, the City of Moreno Valley, acting as the Successor Agency for the former Redevelopment Agency (RDA), became responsible for winding down the affairs of the redevelopment agency including disposing of its assets and making payments due for debt incurred by the former RDA. Another part of that winding down process is the establishment of an Oversight Board to review and approve the activities of the Successor Agency and ensure the former RDA's assets are distributed to the taxing entities. The Oversight Board is composed of seven members representing various taxing entities and is an independent decision-making body with a fiduciary responsibility to holders of enforceable obligations of the former RDA and the taxing entities that remain in the former redevelopment project areas. The Boards actions will be overseen by the State Department of Finance and may be subject to disapproval or modification. For all Successor Agency inquires please e-mail np@moval.org, or call 951.413.3450. ABx 126 (the "Dissolution Act") provides for an Oversight Board to be duly constituted to review and approve the activities of the Successor Agency and ensure the former RDA's assets are distributed to the taxing entities. The Oversight Board is composed of seven members representing various taxing entities and is an independent decision-making body with a fiduciary responsibility to holders of enforceable obligations of the former RDA and the taxing entities that remain in the former redevelopment project areas. The Boards actions will be overseen by the State Department of Finance and may be subject to disapproval or modification. The City Council and the City of Moreno Valley are dedicated to providing affordable rental opportunities. The City has invests housing funds into the construction and rehabilitation of affordable multi-family rental projects in partnership with developers throughout the City. In return, the project owners are required to provide discounted, below-market rents to income qualified tenants during the term of their Agreements with the City. Units in developments priced at a “below market rate” are made affordable to varied incomes ranging from very-low to moderate income households (30% -120% AMI). Each project has a specific number of units reserved at below market rates, as well as specific income requirements for the units. For qualification information, unit availability, and application questions, please contact the Leasing Agent displayed for each respective property listed below. The City does not own or manage any housing directly. The Affordable Housing Database Worksheet has been published for public viewing in accordance with requirements set forth by Assembly Bill 987. This database contains required information on owner-occupied and rental units developed or substantially rehabilitated with Low and Moderate-Income Housing Funds. As required, this list is updated once annually and shall exclude the listings of units reserved for victims of domestic violence. "California Health and Safety Code Section 34328 states that by October 1 of each year, “an authority shall file with the clerk of the respective city or county and with the Department of Housing and Community Development an Annual Report of its activities for the preceding year.” The Annual Report for the Moreno Valley Housing Authority covers all the activities that have occurred during the 2011-12 Fiscal Year, including housing unit compliance with affordability requirements, activities concerning existing debt obligations, as well as land transactions and development. The City of Moreno Valley was awarded $11,390,116 to implement the Neighborhood Stabilization Program 1 (NSP1) and $3,687,789 to implement the Neighborhood Stabilization Program 3 (NSP3) aimed at assisting the City’s areas most affected by abandoned and foreclosed homes. The City of Moreno Valley's completed application to received funds from the Department of Housing and Urban Development (HUD) for the implementation of the Neighborhood Stabilization Program 1 (NSP1 ). 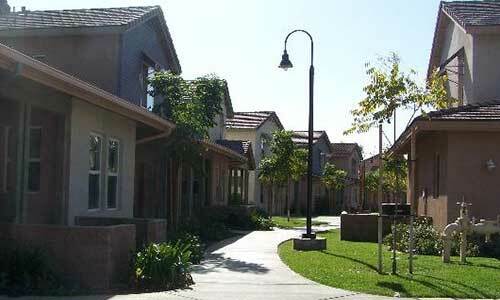 The City of Moreno Valley reallocated funds between eligible HUD-approved activities. The City of Moreno Valley is proposing to expand the NSP Program by incorporating eligible HUD activities into the current NSP1 Program. The City of Moreno Valley's completed application to received funds from the Department of Housing and Urban Development (HUD) for the implementation of the Neighborhood Stabilization Program 3 (NSP3). The City of Moreno Valley amended its NSP-3 application to modify eligible HUD-approved activities and redefine the approved Target Areas. The City of Moreno Valley is proposing to modify two of the approved Target Areas and reallocate funds between HUD-approved activities. The City of Moreno Valley amended its NSP-3 application to redefine some existing Target Areas. The NSP Quarterly Performance Report (QPR) provides an overview of the City's NSP program activity. For detailed information, visit Quarterly Reports. The City has access to a number of resources available to help Moreno Valley residents address their risk of foreclosure. The City of Moreno Valley contracts with the Fair Housing Council of Riverside County to provide foreclosure prevention counseling services to Moreno Valley residents. Please contact Fair Housing’s Moreno Valley office at 800.655.1812 or go to www.fairhousing.net for more information. Residents who are facing the loss of housing because of the foreclosure of the house they are renting are urged to verify the credentials of anyone insisting the property be vacated. For help, contact a HUD-approved tenant counseling agency such as the Fair Housing Council of Riverside County, Inc .or refer to the HUD website for a comprehensive listing of approved housing counselors. Foreclosure “rescue” scams are widespread. You may be the victim of a crime if you have paid a company to "rescue" your property from foreclosure. See the County of Riverside District Attorney’s Office for information on Real Estate Fraud and Prevention. The District Attorney recommends that you file a complaint with Moreno Valley’s local law enforcement, with the Office of the Attorney General - Public Inquiry Unit, P.O. Box 944255, Sacramento, CA 94244, or online at www.ag.ca.gov/consumers. See attachment for State consumer alert for information regarding foreclosure scams. Moreno Valley has a wide range of needs often served best by Social Capital, which is the social cooperation between groups as they work directly with one another to enhance the community’s quality of life. Moreno Valley is fortunate to have diverse Social Capital that includes a blend of civic, community, non-profit and religious organizations and businesses to work with neighborhoods and residents for the purpose of enhancing the quality of life in our community. To promote Moreno Valley’s Social Capital, the Adopt a Neighborhood Program has been established. Serve as way to recognize the City’s community partners for their work with local residents, resident groups, and neighborhoods. The City’s role in the Adopt a Neighborhood program is to help link residents, resident groups and neighborhoods with community partners. Click on the link below and fill out the sponsorship information. Sponsorship questions may be submitted to financialresources@moval.org. Neighborhood(s)/geographical area(s) where Sponsor wishes to Sponsor. Type of service(s), products, etc. that Sponsor desires to provide. Any limitations, restrictions or other special instructions that should be disclosed to those requesting a Sponsor e.g. time limitations and/or quantity limitations or other restrictions. Click on the link below, fill out and submit the Request for Sponsorship form. Requests for information may be submitted to financialresources@moval.org. Location in the community where Sponsorship is desired/needed if different from the Contact's information. Specific needs requested e.g. materials, services, etc. needed, Also, include dates and/or times if a sponsorship request is for a specific day(s) and/or time(s) and any other specifics that may pertain to the request that should be made known a Sponsor. Efforts by the City will be made to link requests for sponsorships with those organizations and businesses that can provide the requested assistance. The City makes no guarantee that any and/or all requests for services, goods, etc., will be available upon request or in the future. The City makes no guarantee as to the validity of any Sponsor or Request for Sponsorship. All parties should perform necessary due diligence prior to offering Sponsorship to any request for Sponsorship or accepting any type of Sponsored good or service. The City shall not be legally liable for any and all interactions between Sponsors and those requesting and/or being Sponsored.